Just as its title promises, The World in Your Teacup: Celebrating Tea Traditions, Near and Far is a colorful, inspiring tour of tea around the world. The author, Lisa Boalt Richardson, has a website with recipes and other tea information. In addition to the reviews at Amazon, you can also read a detailed review at Blogcritics. 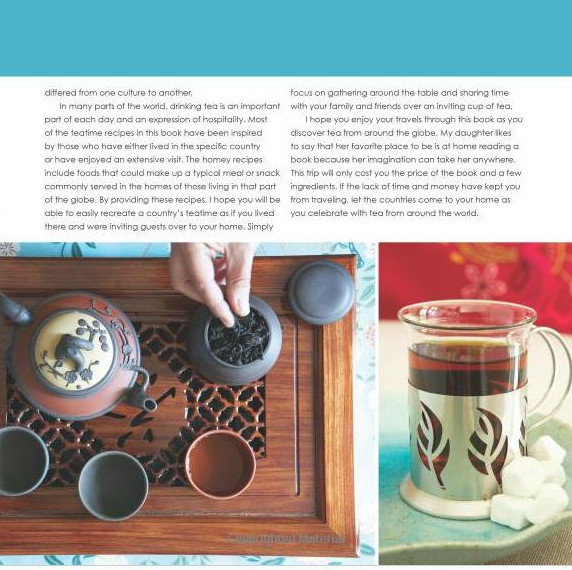 A sample page showing World in a Teacup's rich attention to detail.